This guide will look at what “Full timing” is. The things you need to consider taking up the lifestyle, the pros and cons of full time life in a van and the answers to numerous other questions about the practicalities of actually living in an RV full time. Firstly, What Does ‘Full Timing’ Mean? 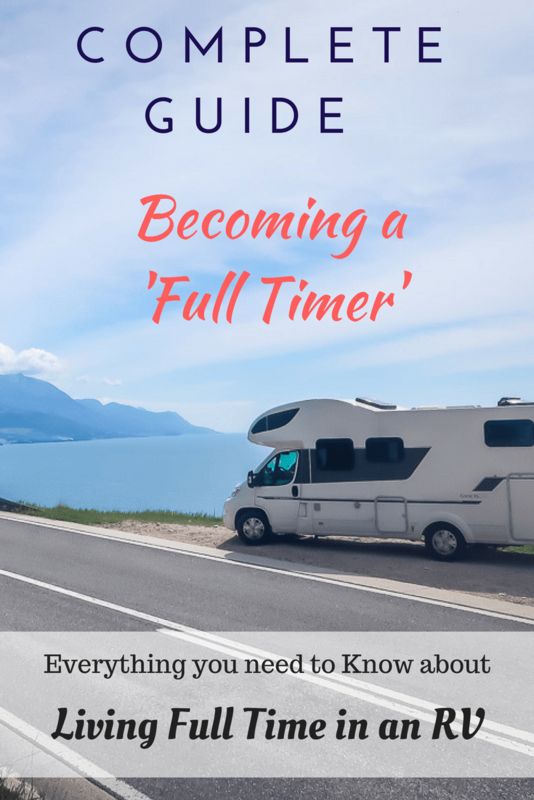 ‘Full Timing” is a buzz word given to those who choose to live in their RV, (motorhome/camper van/fifth wheel/camper trailer) as their main residence. “Long terming” refers to those who have a house and choose to live in their RV for and extended period of time, This is in contrast to “Full Timers” who do not have a residence outside of their RV. For the purpose of this guide, RV, Motorhome, Camper Van, Fifth Wheel, Camper Trailer are one and the same and will be referred to from here on as an RV. As a side note, much of this information is also applicable to Tiny House living also. So your thinking of Becoming a “Full Timer”? What’s the most important thing to consider when making the change to full time Living in an RV? Will you travel or stay in the one location? Will you work or can you maintain the lifestyle through other income sources? Can you live comfortably with less belongings and in a small but cosy environment? Should I sell my house to go Full Timing? No! Don’t sell up if you are financially secure already. Housing ‘generally’ always appreciates. Why sell assets that can finance your lifestyle! However, if you need money to purchase your RV or provide an initial source of income then you may need to consider this option. Is it Safe living in an RV? Yes! It is. You can get all sorts of options for RV security. Not only do these devices help with your insurance premiums, but they ensure you feel a certain level of comfort whilst living your RV. Then there are the obvious safety precautions like parking where other RV’s are parked up. Looking for safe public places, by checking reviews for wild camping spots & ask locals if you can park. Parking where there is good lighting or opting for camp grounds or secure paid parking. If safety` is a priority for you then there are a lot of options available to give you comfort. With a bit of research you can be sleeping like a baby! with peace of mind. What options do I have living in an RV? Not all people live and do life in their RV the same way. Just like living in a permanent place of residence, everybody does life differently. How can you live in such a confined space? You don’t need a large amount of space to live comfortably. This is called choosing the minimalistic lifestyle! You can live in a small space. Extended families all over the world live in small or tiny houses. You just live life with what you need. Use the space you have wisely and make it multipurpose. This is the key to living in a small environment. You can do this by using dividers, containers and drawers to segment the cupboards into usable spaces for storage. Buy hooks to add extra hanging space and customise the space you have to suit your daily living needs. Or see how other RVers make use of their space on Pinterest with these RV/Motorhome Storage Solutions. How do I know which ’RV is best to live in? Below is a step by step guide to help you narrow down the options and make a decision that is best for you. Review what is available and the style that you think you might like. Write a list of what your needs and wants are. Jump online and look up the manufacturers sites, viewing the Van layouts and options. Narrow down your search to a few (3-4) brands and the layouts that will suit your needs and write these down for future reference. Step 2: Read through our guide on Buying an RV which covers the things you need to consider when buying an RV such as size, layout, berths etc. Step 3: Learn from others Experience. Join a forum or two and ask about the make, model and layout of the RV/s you are considering. There are numerous forums, clubs and Facebook Groups that offer advice to full time RV’ers. You can find out information from others that are already living the life. These resources offer excellent tips and tricks on buying an RV, living & travelling in one and everything in between. This is how you really narrow down the your list to one or two vans that would suit your needs. Step 4: Road Test a variety of different Motorhomes before you make a Decision. Test drive a few different Makes and Models, then Hire your favourite/s RV and take it away for a long weekend or on a holiday. This will give you a good understanding of how the space will work for you long term. Each van has its own unique pros and cons that you don’t realise until your living in it. Follow steps 1-4 and you should be left with a clear understanding of what RV is going to suit your needs. Is a bigger RV better? No! You can live in a Small RV. Its cosy! You don’t have so much space to look after or clean. It’s a refreshing alternative to living in a house. What do you really need to live comfortably? Shelter, Water, Food & Oxygen right! For a little extra space, invest in an awning, this way you can create an outside area as well, having two rooms. You can sit outside in the warmer weather and work, read, cook and eat. 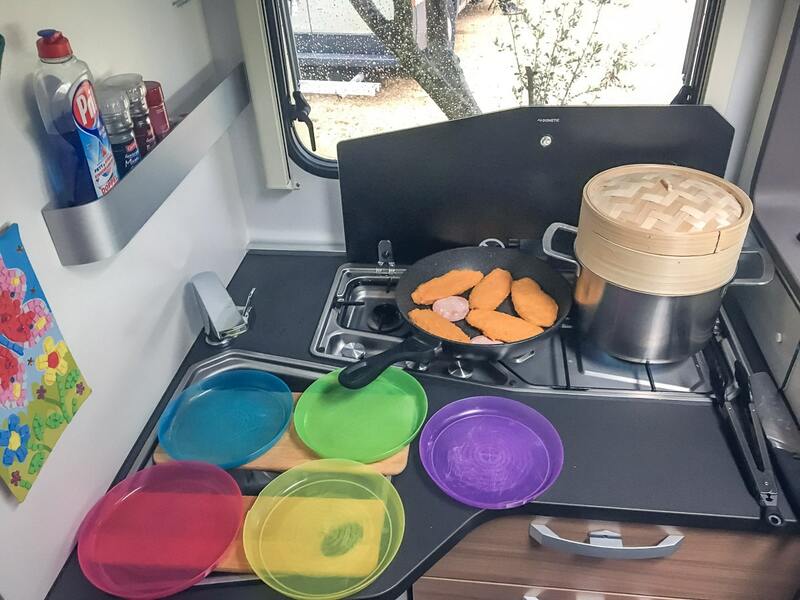 What is the Cost of full time living in a Motorhome or Camper Van? Want to know what it costs to live full time in your motorhome? We are touring Europe at the moment and here is breakdown on what it costs to Live, Travel and Full time in a motorhome (with a family). What does it cost to live in a Motorhome Full Time? Is it legal to live in a Motorhome or Camper Van full-time? You have to check your local government website in your jurisdiction to see if it is legal to live full time in your RV. This is totally dependent on the country and state you live in. In the US, RVs are classified as a temporary recreational residence and the short answer is No, its not legal. There is a good article by Off Grid World on the legalities of Full time Living in an RV. For us, in the EU, Yes. Most countries allow you to live, camp and park in your motorhome. Some countries even provide Parkings, Aires and StellPlatz to park for the night with minimal cost and a great view. However, these are not set up for permanent parking and like in many countries, for legal reasons we do need to maintain a permanent residential address for our official mail to be sent. Mail is a pain point for most full time RV’ers as lots of countries require you to keep an offical residential address. For options regarding mail keep reading. What Are the Benefits of Living in a RV? You can save an enormous amount of money living full time in an RV. No rent or Mortgage if you own it outright. That and the fact that buying a rig is hands down cheaper than buying a house. You spend less on household items because you have less space. You can save on taxes if you choose the correct state/country to full time in. Holidays are cheaper because you can park your RV and save on accommodation. You tend to spend less on food because your RV sized fridge and cupboard space are smaller than a house’s. Note: This assumes you don’t eat out all the time. With limited space for clothing, you will adopt a minimalistic approach, thereby spending less. No need to maintain any other vehicles. You don’t have to have neighbours. In an RV you can choose who you have for a neighbour by where you park up. Many places you can park up with no neighbours at all. Free camping means you can have complete solitude and enjoy the nature around you. Enjoy the nature around you without the crowds! Well, this is subjective. But if your living full time in an RV, your housework is minimal! A bit of vacuuming here and there, a wipe over with a cloth and a quick clean of the toilet. Having a small space means that there is less to clean. You don’t have a backyard to maintain either. No lawns to cut or trees to prune. You can have a magnificent view without the work. No more sitting in rush hour waiting... waiting … waiting… Now you can park up close to your work and reduce the transit time. Or do Location Independent work and live where you like! There is no more waiting in traffic to get to work. No more worrying about money as your expenses have reduced and your lifestyle has changed. Live a free life! Now you can live with less stuff. “Consumerism creates stress”. Having a place to store all those “things you need” . Live with less, its therapeutic and ‘freeing”. When you choose to live full time in a Camper van, you choose your view. Wake up each day to a magnificent million dollar view! You have the freedom to see the world, its your choice. There is so much to explore. Why don’t you choose to start each day with a new view. No more ten story apartment blocks or graffiti that comes with urban living. You have total freedom to park where you will (dependent on the legislation in your locality). 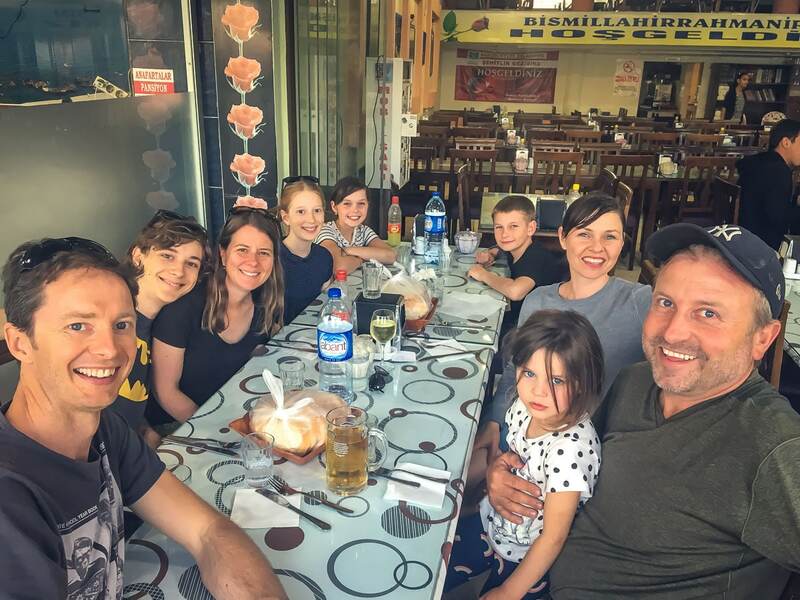 We Travelled to Turkey with a fellow full time traveling family that we met in a Parking near Dubrovnik, Croatia. Travelling in commune is an adventure. RV’ers are a tight group. Become a member of the numerous communities online and join in the conversation. Being a “Full timer” makes you a part of a growing community of people who choose to live life differently. Choosing the minimalistic, low cost, lifestyle. We are all doing life in a similar fashion, which creates camaraderie. Its a community and you should embrace it and become part of it. The community is a definite pro of living full time in your camper van. It will also give you the chance to meet other like minded folks that you can travel with on your journeys for a period of time. There is a list of RV Clubs, Forums and Facebook groups above if you are looking to connect in with a community. You don’t have to decide what to take on your next holiday! Whatever you have with you in your van is already packed and ready for your next trip, wherever that is. Just park up, go exploring and enjoy the view. Cons of Living Full-Time in a Motorhome? Every bit of space you have needs to have multiple purposes! This is minimalistic living at its best! You need to think through what you really need and what you don’t need. You can live without most things. How many sets of clothes do you need? Shoes? Cutlery, Crockery? Its all negotiable. Space needs to be multipurpose and you don’t have extra space for surplus goods. RV Mobility and Where to Park each Night? Travelling can be a negative to living full time in your motorhome. Where will you park your Motorhome each night? Researching each place takes time and energy. You have to plan in advance before setting out. Where can you park safely? You can overcome this by investing in Apps and Books that show you the best places to park in your locality. Many of the clubs listed above offer resources for where to park your RV. Or you can buy guide books from your state/county camping associations listing Camping grounds, parkings, free parkings and Wild campings. We always have two Parkings mapped out before we set off for the day. That way if the first isn’t appropriate for whatever reason (no shade) then we don’t have to waist time doing any more research, we already have the GPS location of the second. Do you need to move around in your RV? Or can you stay in a spot permanently? There are pros and cons of moving around or staying permanently. Parking up permanently means you don’t have to spend any time on researching new locations. Parked up in Istanbul – Turkey. This was a gated security parking with a 24hr security guard, which gave us peace of mind.. Parking – Where can you park your RV? If your travelling in your RV, parking can be tricky. Where can you park up your Motorhome while you do the grocery shopping? Stopping to run a few errands takes for thought and a game plan. There is no just popping down to the shops in your Motorhome. It can be difficult to find parking spots for oversized vehicles in small towns and cities. Be aware that some Parking lots even have height restrictions. Solve this problem using Google Maps it is excellent! Look at the town or city in satellite view and zoom in on the parking lots near where you need to go. You can see if there are larger vehicles parked on the Map and use this as a starting point. Also look on the map for bus parking as these can accommodate longer rigs. Have two parking lots (a first choice and a second choice) saved in your navigator before you depart. Cooking in an RV where space is limited can be challenging. Preparation space is limited. Food storage can also be a challenge. You can’t bulk buy and store up supplies that you might need at some point. You really only have room for things you are using day to day. Draw dividers to segment storage areas. Remove boxes and excess packaging from foods. ie remove the cereal box and just store cereal in the plastic. If your full timing in your RV you will be living in it in winter. In some locations this means snow, ice, rain and mud. There is no veranda or mud room for removing your dirty/wet boots and Jackets before your in the living room. This can be a challenge. Where do you put five pairs of muddy wet boots if your a family? You literally step in from outside right into the centre of your living space, mud and all. Most of these negatives can be solved by a few handy accessories and gadgets that make life easier. This is the Must have RV Accessories List. Most Motorhomes do not have a washing machine. This means that you will need to hand wash your clothes or pay to have your washing done at a Laundromat. But where do you hand wash big items like sheets and towels, in the kitchen sink? Maybe not. There are portable wash bags available that help with hand washing. Or perhaps you will need to have a washing bucket or a sealed container that you can put washing in whilst travelling. Pop it in the boot and the movement of the van will wash the clothes while you travel. Then you need to have a line to hang it, which is okay in summer, you can generally find somewhere to pop one up outside. But in winter? How do you get your wet washing dry? Some erect a line inside the van or hang washing in the shower bay to dry. However, this creates moisture inside the RV which can lead to mould growth. If you try and dry washing inside the Van in winter you must air out the van or use a dehumidifier. Living in a Camper van in Winter means you will get moisture build up if you don’t have a humidifier. We all know that RV toilets need emptying regularly. Its not a fun job, but someone has to do it or your home will smell very unpleasant. Some see this a a real negative of life in the RV, but it doesn’t have to be. Its just one of those chores that needs doing like dishes and washing. Keep the toilet clean, use only 2 ply tissue and don’t travel with a full black water tank and you shouldn’t have any problems. Moving locations often means that you are never quite sure how much sleep you will get. If your a worrier and constantly think about safety and wake up for every noise, its likely that you might find your sleep is quite interrupted by the new sounds from the new environment you have parked up in. Things like wildlife, sirens, train lines, traffic can wake even the heaviest of sleepers, so remember to consider these things when you are looking for the perfect spot to park up for the night. You can solve this problem by always choosing locations that are away from the above sleep inhibiters (wildlife, sirens, train lines & traffic), If you are using an app to choose your location, look at the reviews of previous RV’ers. How did they find their stay? Was it a peaceful nights sleep? Or if there are others on site already, wander over and have a chat, see how long they have been there and what their opinion is on the quietness of the location. Privacy can also be limited when you are staying in close vicinity to other campers. Or even just road tripping around. Not everybody has the same sense of space. Now we have discussed the pros and cons of RV living, lets talk through the practicalities of full time RV Life? So your all set up and ready to hit the road in your RV, what things do you need to consider from a practical point of view? Work – How will you support your lifestyle? You might be retired or living off benefits, in which case you are free to do as you please. However, many who choose to be ‘full timers’ must still maintain or find an income source through work. 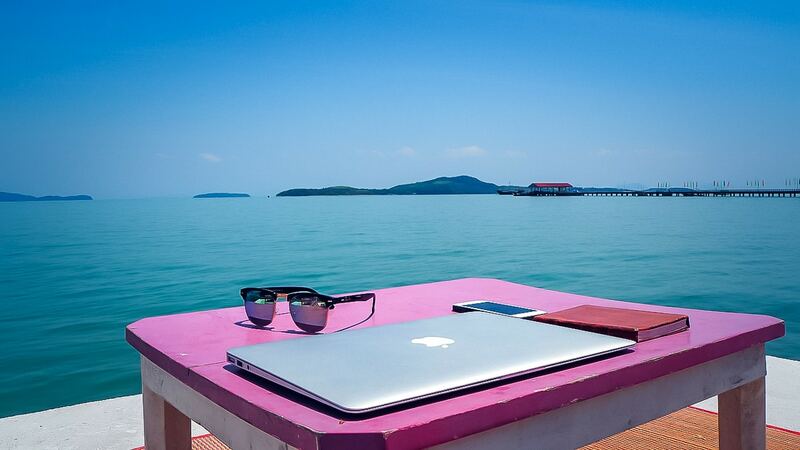 There is lots of work options online, I’m sure you have heard the term Digital Nomad and you can make a good living doing remote or location independent work online. It is best to have your income stream set up before you embark, so if you are looking at becoming a digital nomad, I suggest you do your research and put things in place before you start any kind of travel in your RV. That said, some “full timers” live in their RV and don’t travel, but maintain a permanent job in one location. This is a great option too. Or maybe you will do seasonal work or look for work as you travel. There are a lot of opportunities to work at Campsites, Parks or Farms. There are organisations that allow you to volunteer for room and board, some will allow you to park and join in. If your seeking work as you go, it is best if you have got a full resume with your skills and experience prepared before you embark. Lastly you should work out a projected budget of what you think your expenses will be, so you know what you need in terms of income to maintain your lifestyle. Postage is important, because although you are location independent, Mail is not! You will need a way of getting mail, whether that is having a PO Box, getting mail forwarded to wherever you are, or a digital mail box where the company scans your mail and emails you the contents. 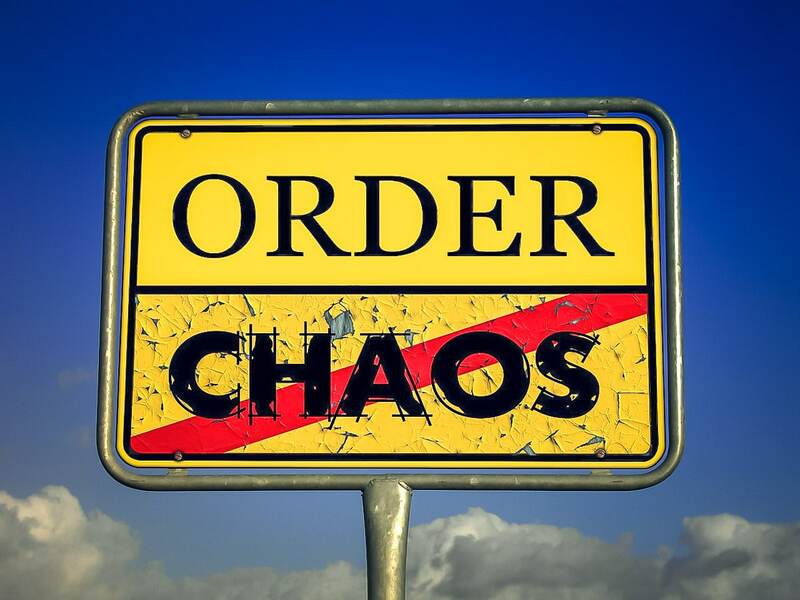 A cheaper option is having a friend or family member look after your mail and notify you when important items like, drivers license renewals, insurances, tax/government information, election forms, Medical Info etc arrive. 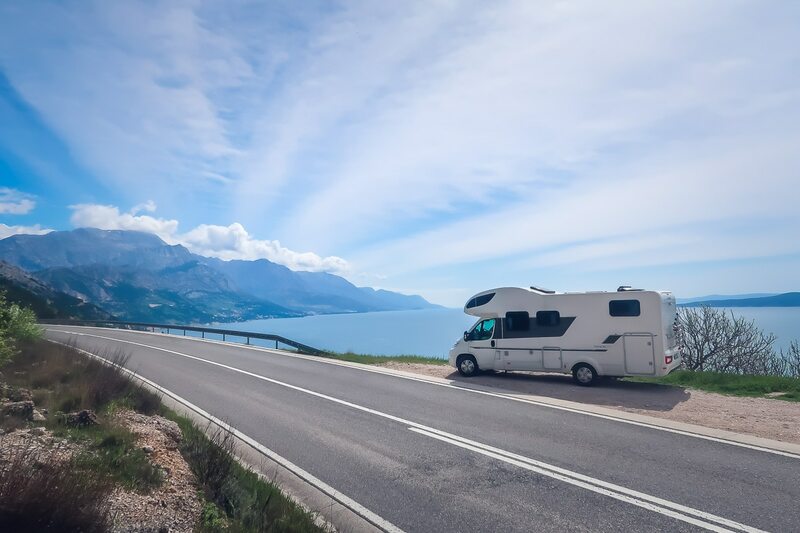 You should have insurance before embarking on the Full time Motorhome Lifestyle. Its peace of mind for when things will go wrong. Check with your local club for insights into who is the best insurer in your locality. 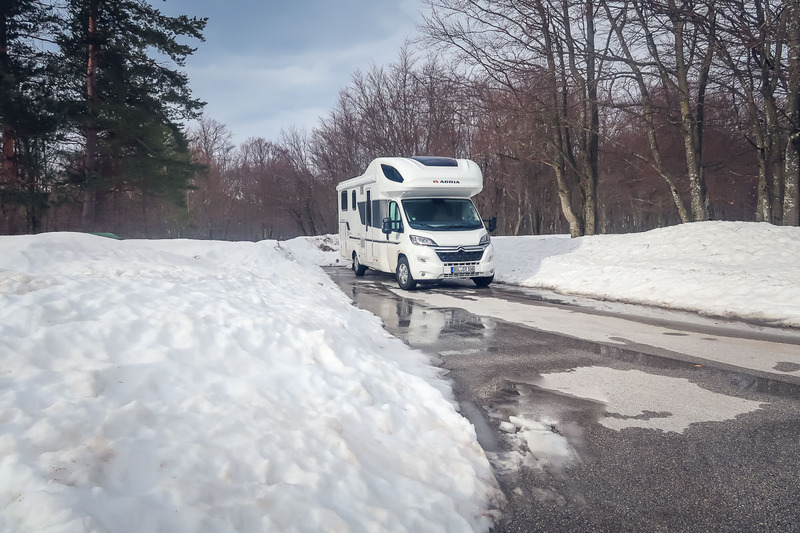 Staying connected to the outside world can be important for some, so having a satelite TV that can access local channels wherever you are is handy in winter when you spend more time in the van than outside. Internet is crucial for maintaining contact with friends and family whist your out adventuring. If you are a digital nomad, having a reliable connection is important for maintaining your income stream. You should find a plan that offers the most data and stick with that. For others using campsite wifi and internet access points will be enough to check in with the ones you love. Looking to buy a Motorhome Abroad? Subscribe and receive a FREE Guide on Buying a Motorhome in Europe as a Non-Resident. Give your RV a road test before you embark full time. If your an old hat at the RV life and have toured or lived in an RV before then you know what your in for, but you might not know the new RV and its intricacies. Or you might be totally new to the RV lifestyle. In that case you should become familiar with your vehicle, its user manual and its systems. By systems I mean heating, cooling, suriage & water. Know how each of these work and have the instruction manuals handy. Then there are all the extras that you may have had installed like Solar Panels, Reversing Camera, Bike Rack, Awning, Aerials, Satellite, Inverter, Generator etc. Familiarise yourself with how each of theses additions work also. The more familiar you are with your RV the easier life will be. Get a tool kit and and put together a repair kit of all the equipment you might need to make minor repairs whilst on the road. What does a forward plan mean? It means a sense of directions of where you will head and how you will do it. Many Full timers run with the weather patterns. Heading to a warmer climate when it starts to get cold. Or maybe you love winter and want to experience RV life in the cold. Either way its good to have at least a loose plan and a direction to give you some purpose. Downsizing – Get rid of extra stuff. You will be surprised at what you can live with. Be really tough on what you pack for life in your Camper. You will not need or use half the things you think you are going to use. If your rig is filled to the brim with every gadget to make life simple, you will feel cluttered. Less is best! When living in an RV, make sure you have a plan in place for how you can be contacted by friends and family. Stay connected with the people you care about even if your miles away. The internet is a great resource, but if your heading to places that are off the grid, you need to make sure that family and friends have a way of contacting you should there be an emergency. Part of living in an RV is ‘living simply’. That includes being thrifty with your money, budgeting and spending wisely. Join Motorhoming or RV Associations/Clubs that give you good discounts on campsites and often camping stores. Senior citizen, get your card, it gives you multiple discounts on all sorts of things and don’t be afraid to use it. There are a huge variety of discount cards available for Campers, do your research, find out what they are and use them. Found this Article Helpful? Pin to read again later. Hey there Full Timing Family! 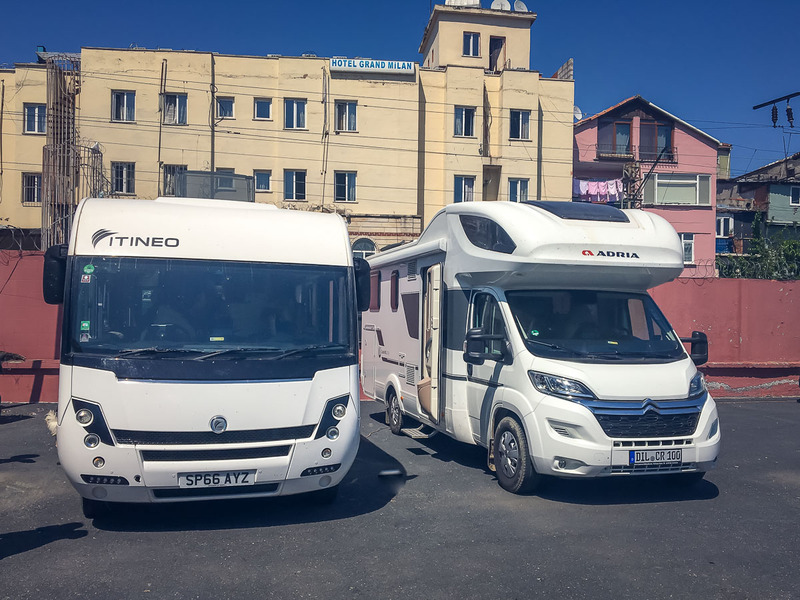 We thought we were the only non-Europeans to buy an RV in Europe and lo- and behold, you did too! We’re still on the road 4 years later having sold our RV and are now full time housesitters and promoting our online business while traveling full time. Our daughter is now in college and happy to not be living in the “tin can” with her parents, yet is truly transformed by her time on the road in Europe and North Africa. Have you been to Morocco yet? 3 months there (great for managing the Schengen visa issues) in our rig was a highlight for us all! Thanks for sharing your adventure! Hi Tammy, Its great to meet others that have gone before us. We are seeing so much living in our RV. 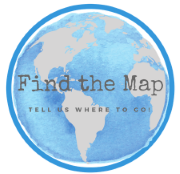 Its a great idea for families who want to get off the beaten track and really explore a country. Unfortunately, we haven’t got to Morocco yet, but have been following along a few others that have. Good work in buying your RV in Europe, it can be a tricky process. Your right the Schengen visa does cause a few hiccups in the way we would like to travel and how long we can stay in each place.